Remnants of a huge forest which once covered the hills around Loch Ordie. 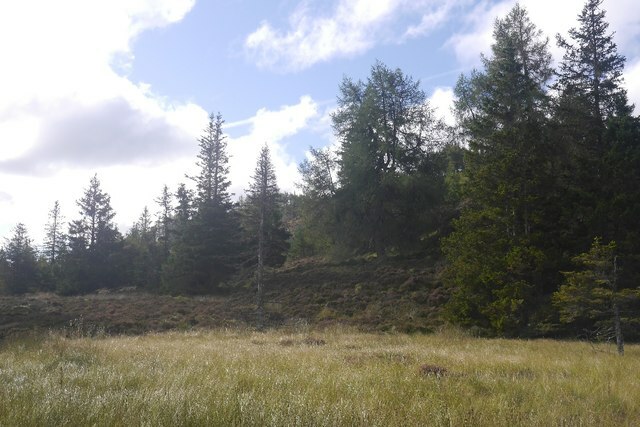 The forest was planted in the 1810s by the Atholl Estate and was mostly of larch. I am unsure as to what happened to it, although I have heard of a big fire. The foreground is a waterlogged grassy area beside the Buckny Burn, the sort of place you see elk grazing in Scandinavia. Sadly not here, although there are now beaver downstream.